09/15/2009 -  OFFICE OF THE COMMISSIONER: Has voided 2009 Entry Draft Rochester Knighthawk selections Holden Vyse and Brendan Doran as per violation of By-law II D.
09/09/2009 -  PHILADELPHIA WINGS: Have traded their 55th overall selection in the 2009 Entry Draft to the Colorado Mammoth in exchange for Mike Ward. 09/09/2009 -  BUFFALO BANDITS: Traded their 40th overall selection in the 2009 Entry Draft to the Philadelphia Wings in exchange for Jon Harasym. 09/09/2009 -  BUFFALO BANDITS: Traded their 24th overall selection in the 2009 Entry Draft to the Washington Stealth in exchange for Frank Resetarits. 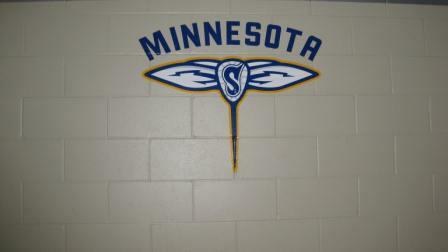 09/09/2009 -  MINNESOTA SWARM: Traded their 13th and 23rd overall selection in the 2009 Entry Draft to the Washington Stealth in exchange for Alex Turner and Aaron Bold. 09/09/2009 -  ORLANDO TITANS: Traded their 10th overall selection in the 2009 Entry Draft to the Buffalo Bandits in exchange for the 19th overall selection in the 2009 Entry Draft and their first round selection in the 2011 Entry Draft. 09/09/2009 -  MINNESOTA SWARM: Traded their 9th overall selection in the 2009 Entry Draft to the Edmonton Rush in exchange for Richard Morgan. 09/08/2009 -  TORONTO ROCK: Have traded Craig Conn and their second round selection in the 2010 Entry Draft to the Calgary Roughnecks in exchange for their first round selection (11th overall) in the 2009 Entry Draft and sixth round selection in the 2010 Entry Draft. 08/10/2009 -  BUFFALO BANDITS: Have traded Jamieson Koesterer and their fifth round selection in the 2009 Entry Draft to the Washington Stealth in exchange for their second round selection in the 2009 Entry Draft. 08/04/2009 -  BUFFALO BANDITS: Have traded Pat McCready and their 3rd round selection in the 2009 Entry Draft to the Toronto Rock in exchange for a second round selection in the 2009 Entry Draft, first round selection in the 2010 Entry Draft and second round selection in the 2011 Entry Draft. 07/21/2009 -  EDMONTON RUSH: Have traded Mike Hominuck to the Toronto Rock in exchange for their third round selection in the 2009 Entry Draft. 07/07/2009 -  MINNESOTA SWARM: Have traded Ryan Ward, Justin Norbraten, Scott Stewart and Richard Morgan to the Edmonton Rush in exchange for Ryan Benesch, Scott Self, and their first round selection in the 2009 Entry Draft. 03/17/2009 -  EDMONTON RUSH: Have traded Steve Dietrich to the Toronto Rock in exchange for their second round selection in the 2009 Entry Draft. 03/17/2009 -  EDMONTON RUSH: Traded Andrew Biers to the San Jose Stealth in exchange for a first round selection in the 2009 Entry Draft. 01/14/2009 -  TORONTO ROCK: Traded Ryan Benesch and Derek Suddons to the Edmonton Rush in exchange for a first round selection in the 2009 Entry Draft and a second round selection on the 2010 Entry Draft. 12/17/2008 -  PORTLAND LUMBERJAX: Traded Jonathan Munk to the San Jose Stealth in exchange for their fifth round selection in the 2009 Entry Draft. 12/10/2008 -  ROCHESTER KNIGHTHAWKS: Traded Luke Forget and their fourth round selection in the 2009 Entry Draft to the Portland LumberJax in exchange for their second round selection in the 2010 Entry Draft. 11/20/2008 -  COLORADO MAMMOTH: Traded Mike Kilby and their third round selection in the 2009 Entry Draft to the Calgary Roughnecks in exchange for their second round selection in the 2010 Entry Draft. 11/20/2008 -  BOSTON BLAZERS: Traded Mike Kilby to the Colorado Mammoth in exchange for a fourth round selection in the 2009 Entry Draft. 11/19/2008 - [X] NEW YORK TITANS: Traded Jamison Koesterer to the Portland LumberJax in exchange for a conditional selection in the 2009 or 2010 Entry Draft. 11/17/2008 - [25a] COLORADO MAMMOTH: Traded Dave Stilley to the New York Titans in exchange for a conditional selection in the 2009 Entry Draft. 10/15/2008 -  COLORADO MAMMOTH: Traded the rights of Gary Gait to the Rochester Knighthawks in exchange for Andrew Potter, their first round selection in the 2009 Entry Draft, and their first round selection in the 2010 Entry Draft. 07/29/2008 -  BOSTON BLAZERS: Traded Travis Gillespie, Tom Johnson and their third round selection in the 2009 Entry Draft to the San Jose Stealth in exchange for Sean Morris, Steve Panarelli and their second round selection in the 2010 Entry Draft. 07/29/2008 -  BOSTON BLAZERS: Traded Devan Wray to the Calgary Roughnecks in exchange for Travis Gillespie and their third round selection in the 2009 Entry Draft. 07/07/2008 -  CHICAGO SHAMROX: Traded Brad MacDonald to the Portland LumberJax in exchange for Matt Holman and their second round selection in the 2009 Entry Draft. 07/02/2008 -  BUFFALO BANDITS: Traded Greg Hinman to the Edmonton Rush in exchange for their third round selection in the 2009 Entry Draft. 03/25/2008 -  EDMONTON RUSH: Traded Matt Disher and their fourth round selection in the 2009 Entry Draft to Portland in exchange for Matt King, Ian Crashley and their first round selection in the 2009 Entry Draft. 03/11/2008 -  TORONTO ROCK: Traded Ian Rubel to the Minnesota Swarm in exchange for their second round selection in the 2009 Entry Draft. 12/11/2007 -  COLORADO MAMMOTH: Traded Matt Taylor to the Toronto Rock in exchange for their fourth round selection in the 2009 Entry Draft. 12/07/2007 -  PORTLAND LUMBERJAX: Traded David Morgan to the San Jose Stealth in exchange for their fourth round selection in the 2009 Entry Draft. 12/05/2007 -  CALGARY ROUGHNECKS: Traded their second round selection in the 2009 Entry Draft to Minnesota in exchange for goaltender Ryan Avery. 09/26/2007 -  EDMONTON RUSH: Traded Ryan O'Connor to Boston in exchange for a conditional fourth or fifth round selection in the 2009 Entry Draft. 09/01/2007 -  ROCHESTER KNIGHTHAWKS: Traded their 42nd selection in the 2007 Entry Draft to the Arizona Sting in exchange for their 83rd selection in the 2007 Entry Draft and their third round selection in the 2009 Entry Draft. 07/24/2007 -  ROCHESTER KNIGHTHAWKS: Traded forward Mike Accursi to the Edmonton Rush in exchange for their first round selection in the 2009 Entry Draft.